So let’s say you’ve made your Fruitcake, thoroughly doused it in liquor, and now you want to serve it on Christmas Eve. 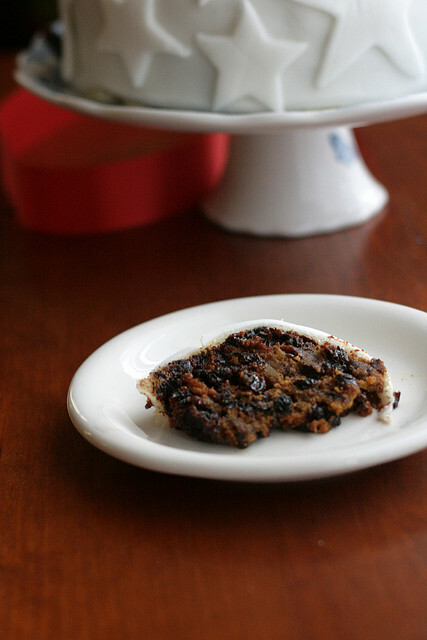 You have bought into the joys of fruitcake, but now you want to sell it. If one is not a fruitcake convert, a bit of glaze and a few nut halves might not do it. 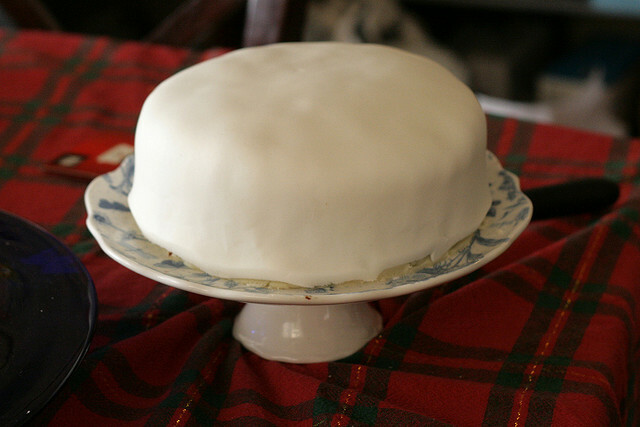 You could top with a boiled icing of milk, sugar and butter the way my friend Alison’s Australian Nana did (I’m still looking for a recipe Alison — I have to dig through my vintage cookbooks), or you could embrace your inner anglophile and give it the full on British Christmas cake treatment, which involves covering it with marzipan and fondant icing and making it look absolutely BEAUTIFUL. For the marzipan layer, you can use bought marzipan or the recipe below (which involves bought almond paste — commercial almond paste gets its characteristic flavor from bitter almonds and is very smooth, which is difficult to replicate at home.) The advantages to homemade are that, 1) Almond Paste and Marzipan typically cost the same, and you get 1 lb marzipan from 1/2 lb. almond paste + some inexpensive additions and 2) homemade marzipan is a little tackier, so you don’t need to use anything else to stick it on the cake. If you’re using store bought marzipan, which tends to be drier, you might want to brush your fruitcake with some melted and strained apricot jam before applying the marzipan. Roll out the marzipan between two sheets of parchment, or between a silpat rolling mat and a sheet of parchment. Since marzipan tends to be very sweet, you don’t want to make this layer too thick. Peel off one layer of parchment, apply to the cake, then peel off the remaining parchment, smooth the sides as much as possible, then trim the bottom. I use store bought fondant icing. You can make it (I suggest you look for a recipe in Rose Levy Beranbaum’s Cake Bible) but it’s a bit painstaking and requires special ingredients. If you’ve never worked with rolled fondant, here’s what you need to know — its value is purely aesthetic. It tastes only OK (not bad, but only OK) but it looks BEEYEWTIFUL, with a lovely matte sheen. You can address this to a certain degree by flavoring the fondant with an oil based flavoring (for my wedding cake, I flavored the fondant with almond flavoring) but it’s never going to be really great. It is, however, traditional. Roll out the fondant the same way you did the marzipan — between two sheets of parchment. You can also roll it using powdered sugar to keep it from sticking, but I think the parchment works better. The thicker your fondant, the less it will show imperfections in the surface. However, keep in mind the taste caveats when you’re determining your fondant thickness. Because fruitcake, unlike an American wedding cake, doesn’t have a buttercream layer, which you can make extremely smooth, there are going to be some lumps and bumps. This is normal and should be embraced as part of the aesthetics. Now you’ve got a basic iced Christmas cake, and you can do with it what you like. 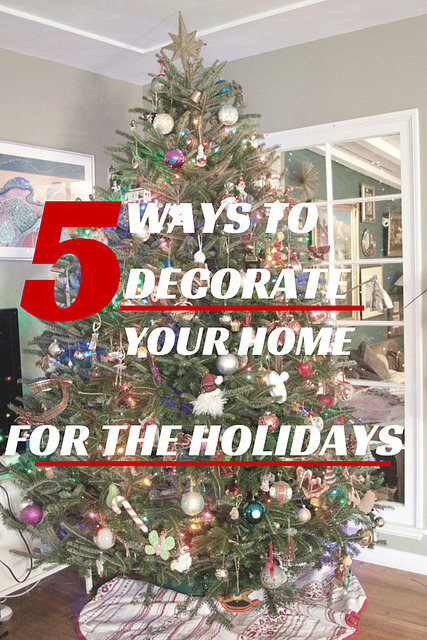 You can paint decorations with some food coloring, go minimalist with just a sprig of holly, or press in some silver dragees. 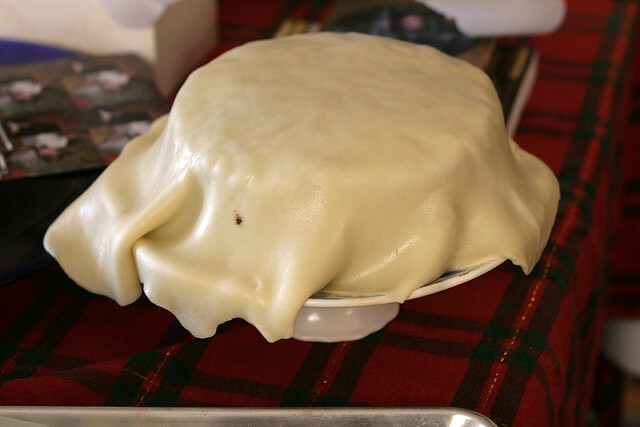 You can do what my daughter did — attack the fondant with a sharp knife while your mother isn’t looking, yielding slashes all over the cake showing the deep dark insides of the fruitcake. You can also do what I did, which is to embrace the white on white aesthetic and cut shapes out of the leftover fondant. If you do this shortly after icing it, the fondant will stick to the fondant, and you don’t need any adhesive. It also covers a multitude of sins, including your typical lumps and bumps AND a two year old’s slasher art. The fruitcake will keep, iced, for several days before serving. Combine sugar and almond paste in a food processor and process until crumbly. With motor running, add the corn syrup and process until the mixture comes together. Knead a few times and it's ready for rolling. The prettiest looking fruitcake I’ve seen! If they all looked like this, I bet they’d stop getting a bad rap! I’m going to try to play around with Nana’s coconut ice recipe by adding butter to the sugar/milk mixture (and not adding the coconut, obviously!). I’ll keep you posted. Yours is indeed very pretty! Love the stars, this is gorgeous! 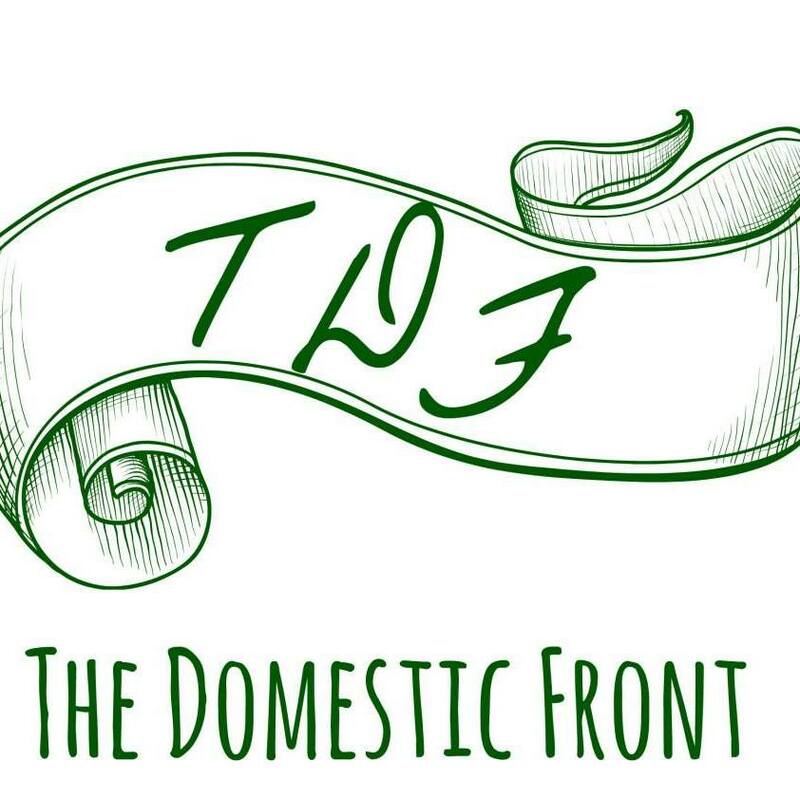 Where do you buy your fondant? Yay fruitcake! My british mom is arriving at my house tomorrow with this year’s fruitcake and I’m looking forward to it. Yours is very pretty, but one note: Royal Icing, not fondant, is traditionally the outermost layer. I don’t quite remember what the ingredients are but I know it involves egg whites and I’m sure you can google a recipe. It will essentially keep air out of everything that’s inside that layer, so an iced fruitcake can last for a reeeeeally long time. 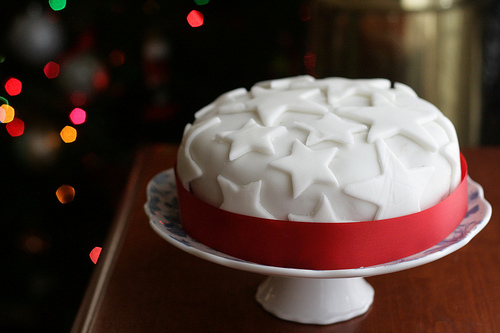 I applaud your efforts to revive the image of the Christmas cake, Stateside! They’re hugely popular here in the UK – always have been! I wanted to comment to let you know that where I’m from in the North of England we eat Christmas cake accompanied by a slice of cheese – my favourite is Wensleydale, a sharp, fresh-tasting very white and crumbly cow’s milk cheese (it’s a tiny bit like Feta, but less salty). It’s a GREAT combination, and I recommend that any Fruitcake-newbies give it a try! Happy Christmas to you all! WOW! This looks good enough for Ace of Cakes! Brava! Erin — I bought the fondant at Joann’s because Surfas was out. You can also get it at craft stores like Michael’s. sjb — I’ve seen royal icing used, but Nigella Lawson uses ready to roll icing, which is easy and IMO prettier. It has the same keeping properties, too — practically airtight! Liz — OMG cheese sounds divine. We’re serving this Christmas eve (we have some guests who ae in from the West of England so we want them to feel at home!) and I’ll have to pick up some Wensleydale! Wow- that is by far the prettiest fruitcake I’ve ever seen! Who could resist a slice of that? Kate, I should warn you that your friends might think you’ve gone mad… this is a very northern thing! Delicious, though – have fun with it! You do make the prettiest cakes, woman. My mama is visiting right now (or, umm, Mum as she calls herself), and we had a whole conversation about her family’s traditional baking and decorating of the fruitcake. They decorated it with whole xmas villages and tiny people and trees and such, with a wide gold ribbon wrapped around. Think gingerbread house on cake. But they never never used fondant. They used royal icing, so thick it had to be cut with a serrated knife because a regular blade wouldn’t cut through it. Royal icing is delish. And the lemon flavor works so nicely with the almonds and cake. 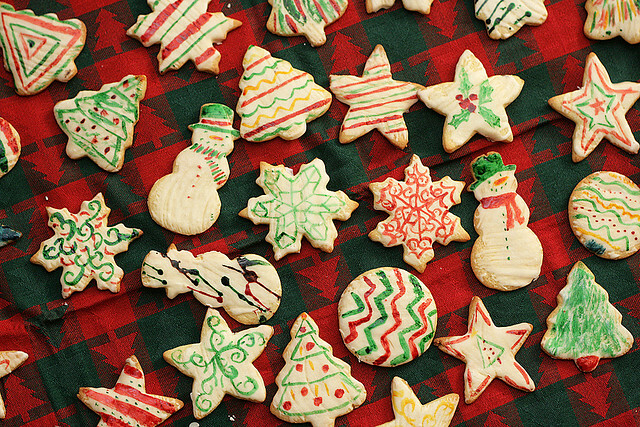 Royal icing FTW. Though yours does look pretty. Nigella is Jewish so her knowledge of Christian traditions is, at best, sketchy. Thanks for your personal experiences! I have no doubt that royal icing is traditional, but I swear I’m not coming from left field! Delia Smith also uses fondant and as I said, it’s easier to make pretty.